The spiky stud peeptoe pump's by Qupid Luxe ($58.90) are made of a texturized leatherette with a spiky stud rhinestone detail. Quality wise they're very sturdy and well made with a leatherette exterior that's structured not flimsy. 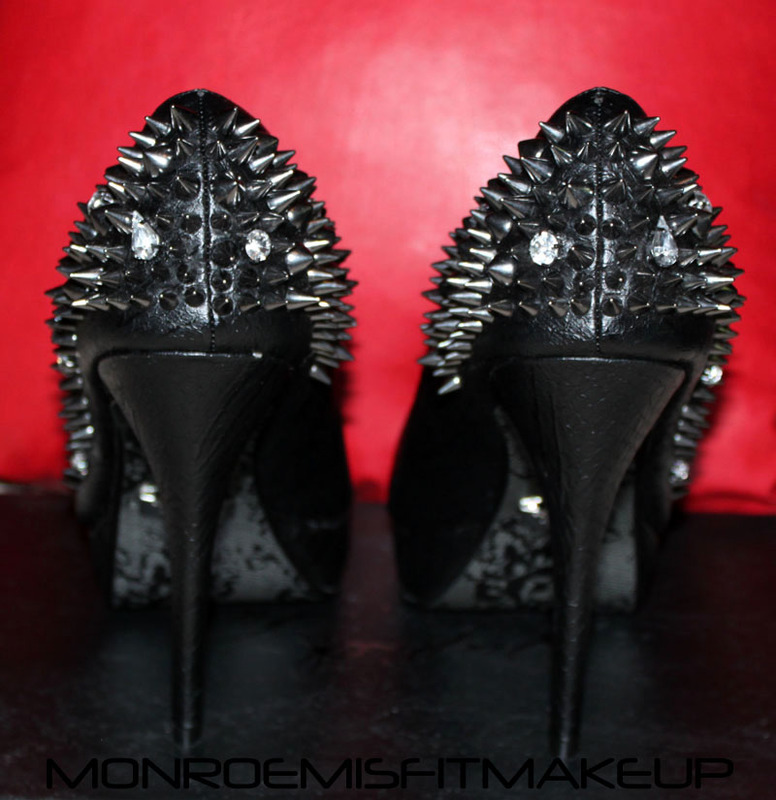 The spikes and rhinestones are attached securely so you don't have to worry about them falling off. Another gorgeous detail to these shoes is the sole's which have a silver mettalic black lace print. Black, lace, and spikes go with everything right? 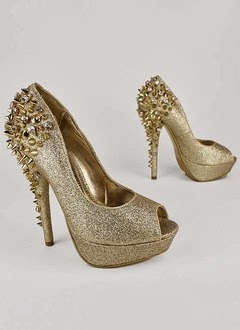 :) They also carry a similar style here in Glittery Black, Gold, & Silver. 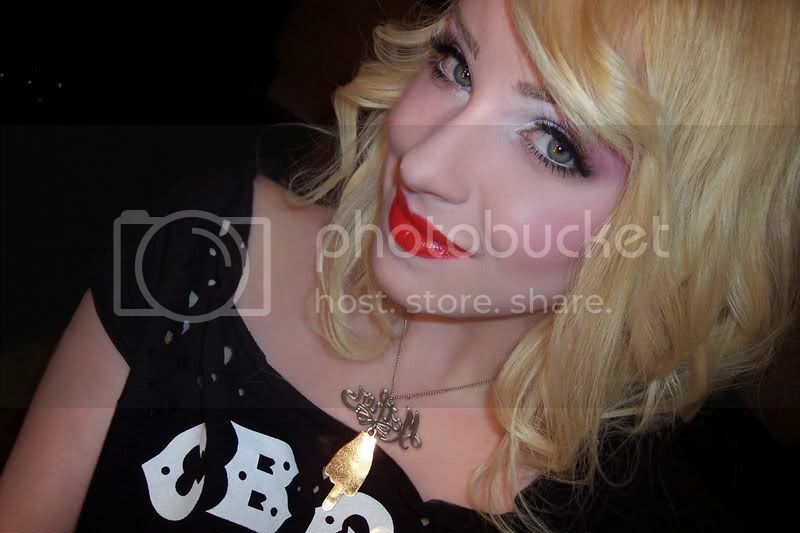 I just bought the gold for NYE, so sparkly! Now with a staggering 5 in. heel they're not the most comfortable things in the world to wear, but really what 5 in. heels are? Nothing a foot petal or two can't fix. 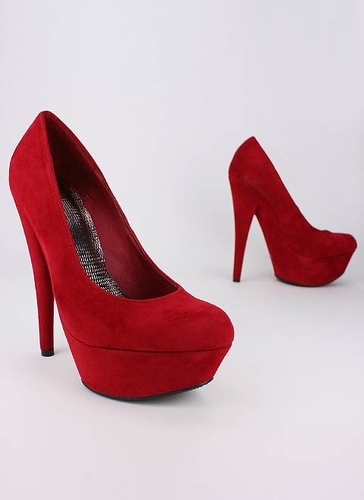 I absolutely adore Sam Edelman Lorissa Pump's but at $200 bucks a pop, I can't have them in every color. 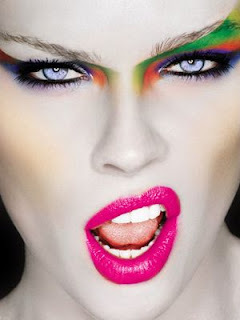 These are a great affordable alternative to them and just as fierce. 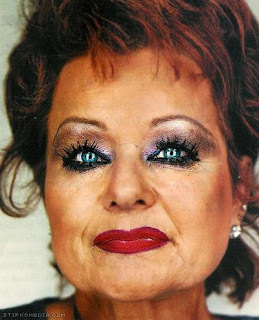 Heavily mascara'd lashes were seen at the Fall Lanvin, Chloe, & Gucci show's. 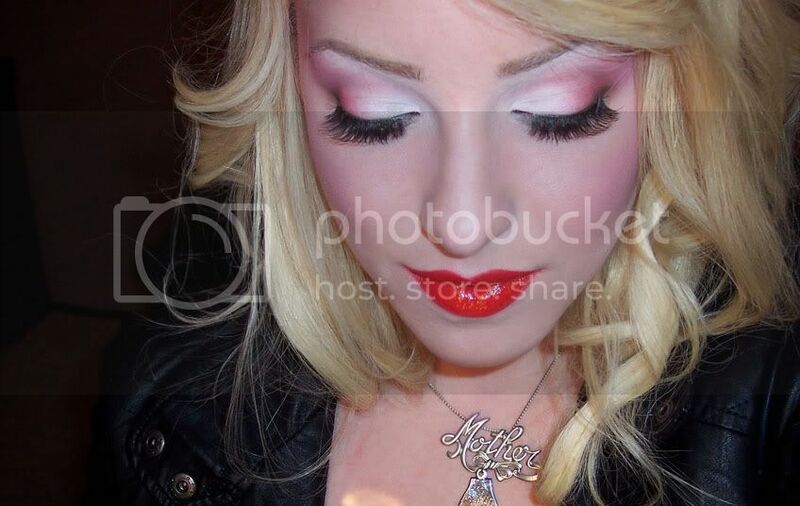 I love doing "bad" makeup. Clumpy lashes are completely unacceptable in makeup 101...send me to detention because I think it makes for a chic Holiday look. 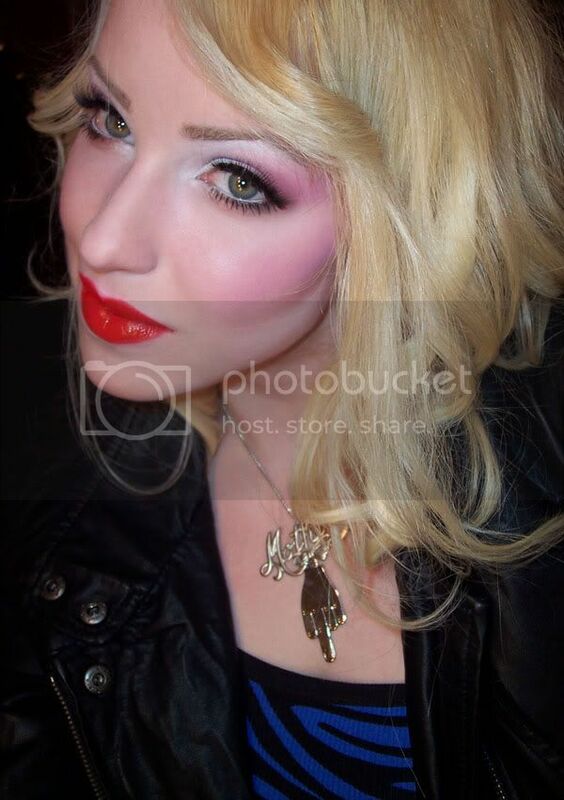 Keep the rest of the face/eyes quite bare and eliminate eyeliner to further emphasize the lashes. 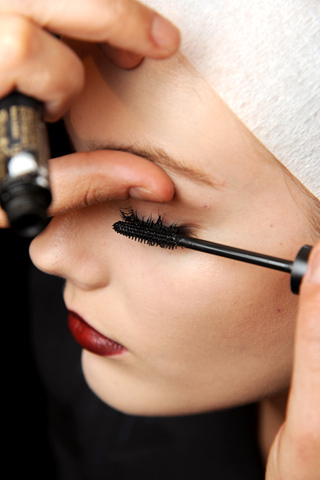 To clump your lashes apply at least a few coats of a thickening mascara then bind sections together using tweezers. 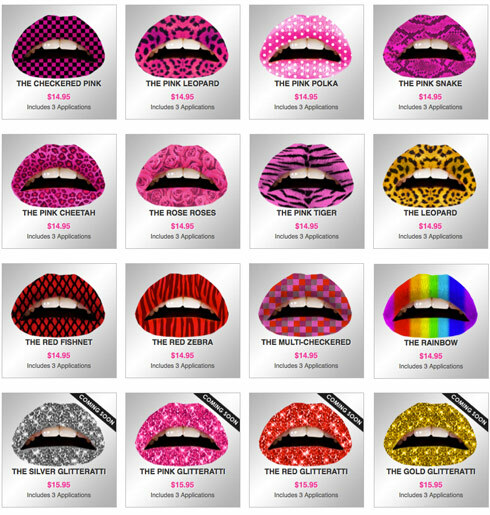 Getting creative with the lips is something I've been a fan of ever since I came up with the leopard print lips and red glitter lips look's 3 years ago(so long!). 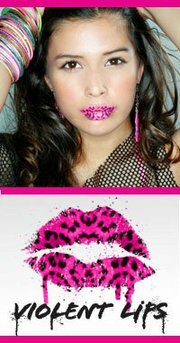 Violent Lips is a company that sells temporary lip tattoo's in designs like leopard, fishnet, polka dot, checker, glitter etc. (we love it already right?) There was a lot of interest in the designs in my latest videos, and I was pulling out the "Roses" for the Guns N' Roses show tonight, so I thought I'd share my experience with them. 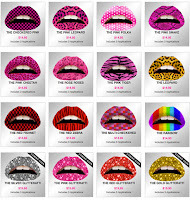 The Patterned Lip Tattoos From Violent Lips come in individual packs of 3 for $15 in a range of colors & designs.They last from 4-8 hours, are FDA approved, and tested on supermodels NOT animals. I chose the "Rose Roses","Pink Polka", and "Red Zebra" designs, read the instruction card, trimmed to fit, went ahhhh, applied by dabbing with water and voila! It actually turned out quite cool yeah? I say that with surprise because I've never had much success with novelty beauty product's (those press on eye shadow things anyone?). 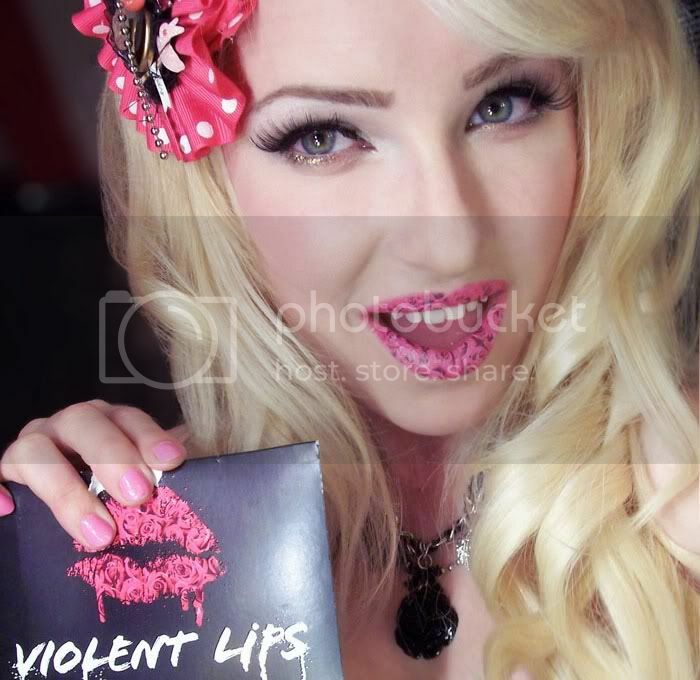 Violent Lips are easy to apply by simply trimming to fit your lip shape and dab with water like you would a temporary tattoo. It almost feels like makeup cheating! I wore them for a good 4 hours and the appliqués stayed perfectly in tact even through drinking. There was a tiny bit of fraying around the edges by the end of the night, and if you trim them wrong they can look a bit janky, but minus a few flaws they're a lot of fun. You will need to remove them with mineral or baby oil, because they absolutely will not come off with just water. They feel slightly dry on the lips, but not uncomfortably so. My tip is to top them with a bit of clear gloss. I think it takes away that 'dry' look that they can have. Now where would you wear these? 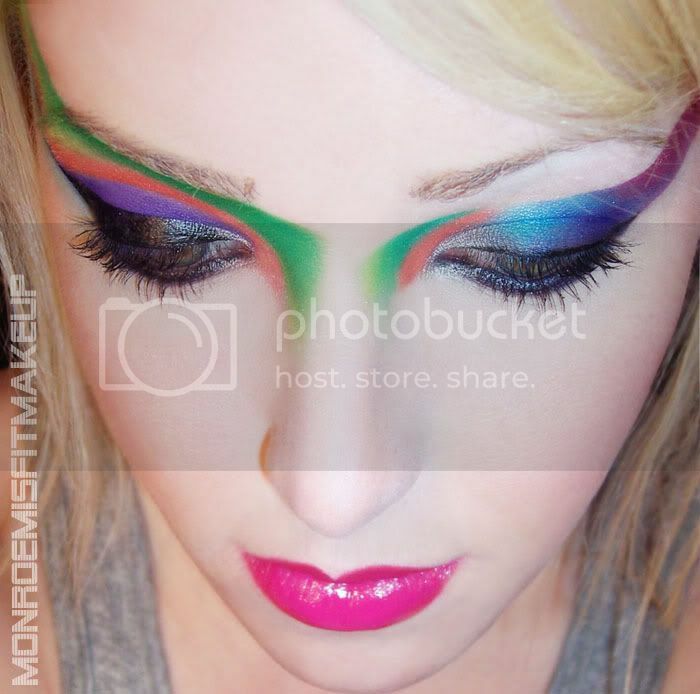 I think they'd be great for clubs, festivals, photo shoots, halloween, holiday parties, and especially for the non-makeup artist or impatient. 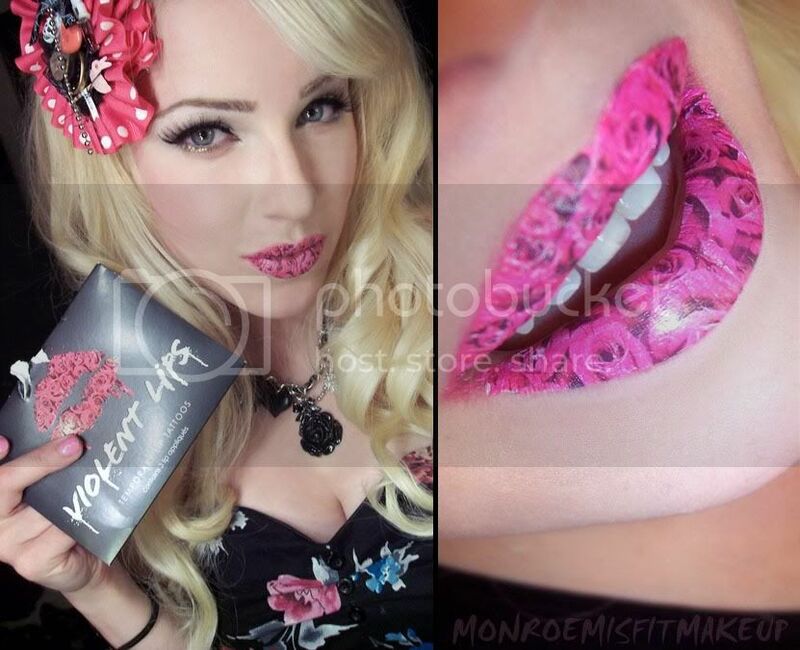 I love doing lip art manually, but cream & airbrush products can be difficult to keep on for a period of time with out messing up. 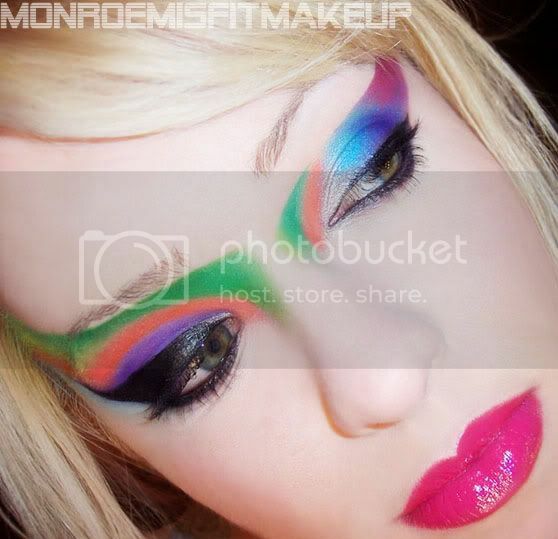 These are ideal for settings where you want a long lasting look. 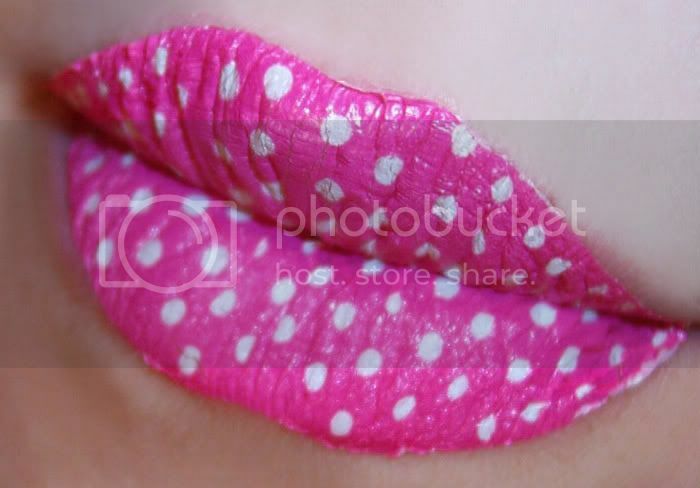 I can't wait to see what designs they come up with next...I already have ideas brewing in my head of corsets, metallics, gradients, lace print.. if they could make a pvc finish for the lips I would sell them my soul!